ndy Mackay - saxophonist, oboe player, widely-respected film and television composer, and founder member of Roxy Music - was born in Lostwithiel, Cornwall but grew up in Pimlico in central London, discovering both classical music (thanks to his father, a talented amateur pianist) and rock 'n' roll (thanks to the BBC Light Programme and Radio Luxembourg). He first played oboe at his grammar school, Westminster City, winning a weekly scholarship to the Guildhall School of Music and then playing in the London Schools Symphony Orchestra. Mackay went on to read Music and English Literature at Reading University, where a simple swap became a defining moment. He traded one of his boyhood treasures, a telescope, for his first alto sax, experimenting on it with university group the Nova Express. Andy also became deeply involved with avant-garde and electronic music, particularly the work of John Cage, Morton Feldman and Karlheinz Stockhausen. It was at this time that he met Brian Eno, an art student at nearby Winchester College of Art, in avant-garde performance events. Scraping a B.A. hons, Andy left university determined to earn his living from music, if unsure how to make that happen. An ad in the Melody Maker as a rock 'n' roll oboeist proved strangely unproductive, and he took a break from the London music scene of the late '60s to live in Rome for a year. 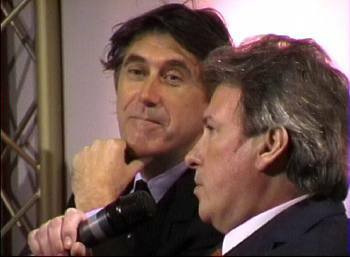 Returning to England with determination undiluted, Andy was teaching music at Holland Park Comprehensive when he became a co-founder of Roxy Music with Bryan Ferry, to whom he had been introduced by a university friend. Mackay was intrigued by Ferry's eclectic record collection, which extended from the Inkspots to King Crimson, and with Newcastle friends Graham Simpson on bass and occasionally John Porter on guitar, they began rehearsing and developing a small batch of songs which Bryan was writing. Meeting Brian Eno again on a tube train in London, Andy introduced him to the embryonic Roxy Music, and Eno took over the VCS3 synthesiser which Andy had recently bought. Roxy, as they were first known, started gigging in mid-1971. Andy kept his day job, but not for much longer. By early l972, they had appeared on John Peel's highly influential 'Sounds of the '70s' show on Radio 1. Now renamed Roxy Music, they attracted the attention of EG Management, who had managed ELP and King Crimson, adding young Geordie drummer Paul Thompson, whose dynamic and muscular playing was such a distinctive feature of the next six albums, and Phil Manzanera, who replaced Davy O'List, the former guitarist with the Nice. EG secured a deal with the definitive independent record label, Island, and Roxy Music recorded their self-titled first album, produced by King Crimson lyricist Pete Sinfield. Melody Maker called it "the best first album ever" amid a welter of acclaim from media and public alike, and Mackay played his full part in the band's role on the cutting edge of style, wearing stage clothes designed for him by Royal College of Art graduates Jim O'Connor and Pamla Motown as well as St. Martin's graduate Carol McNichol. Andy was the first to have his quiff bleached and the tips dyed blue by fashionable hairdresser Keith at Smile, stopping the Knightsbridge traffic as he left the salon. Over the ensuing albums, Mackay was to become one of the architects of Roxy's daring sonic and stylistic combination of retro and futurism, but before long was also experimenting outside the group discipline. He worked on Eno's first album 'Here Come The Warm Jets' in 1973 and the following year, recorded his own solo instrumental album =8CIn Search Of Eddie Riff', a kind of musical autobiography and an exploration of his own roots from Schubert to '60s rock 'n' roll. In the spring of l975, the inspired guess of a mutual friend put Andy in touch with New York playwright Howard Schuman, who had been commissioned by Thames Television to write an ambitious six-part drama with music about three girls in a rock group. He and Howard struck an instant rapport and the result was the memorable 'Rock Follies', effectively a full-scale television musical starring Julie Covington, Rula Lenska and Charlotte Cornwell. Featuring a real, on-screen band directed by Mackay, 'Rock Follies' ran to two series, won the BAFTA award for Best Television Drama of l976 and produced a soundtrack album on Island that raced to No.1 in the UK. Roxy's hiatus after the 'Siren' tour enabled Andy to concentrate on 'Follies' and ensuing TV projects such as 'Armchair Thriller' and 'Hazell', collaborating on the latter with seasoned blues singer Maggie Bell. He also played sax on the first pop promo made by Godley and Creme, 'Wide Boy'. In 1978, a trip with his wife Jane to China inspired a second instrumental solo album, 'Resolving Contradictions', which featured Roxy's Paul Thompson and Phil Manzanera as guests. Roxy then reconvened for the 'Manifesto' and 'Flesh and Blood' albums, and the tragic death of John Lennon in 1980 led to perhaps Andy's most recognised saxophone solo on record, on the group's respectful and heartfelt cover of John's 'Jealous Guy', an international No.1. Amid Roxy's busy tour schedule, Andy found time to research and write a book which had been commissioned by Phaidon Press entitled 'Electronic Music', published in 1981. On the conclusion of Roxy's active service in 1983, Mackay and his family moved to Kenmare in the west of Ireland, where he developed an interest in traditional Irish music, but fresh air, fishing and Kerry polkas were not quite enough to keep Andy off stage and out of the studio for long and he began a new project with Phil Manzanera that became the Explorers. Managed by Pink Floyd guru Steve O'Rourke, the group were signed by Virgin Records and produced a self-titled album released in 1985, with a second set from a projected follow-up released on Phil's Expression label in 1988 as 'Manzanera and Mackay'. Andy, in demand as ever, played on records for the Pet Shop Boys, Japanese musicians Masami Tsuchiya and Yukihiro Takahashi (and later Japanese superstar Hotei), Italian singer Enrico Ruggieri and Duran Duran spinoff Arcadia. But soon, after writing and directing the music for Schuman's 'Video Stars' play for the BBC, Mackay virtually gave up rock 'n' roll to become a full-time theology student at King's College London on the three-year bachelor of divinity course (moonlighting on two London dates of Bryan's 1988-89 tour). Graduating in 1991, he resumed composing full time with an extensive interest in a broad range of spiritual and poetic themes. 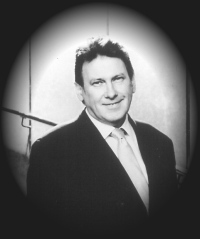 Early in 1992, following the sudden death of his wife, Andy suspended most musical activity to bring up his children, but resumed composing in a computer/ digital suite at home in early 1993 and completing the music for two series of Carlton's 'Class Act'. More recently, his major musical preoccupation has been a setting of 'Four Psalms' for a mixture of sampled sounds and electronic, midi and audio instruments. And an instrumental album provisionally called 'London, Paris, Rome', deconstructing Standards such as 'Three Coins In A Fountain'. In 1998 Andy was involved in a fascinating deja vu re-creating early Roxy tracks with contemporary musicians Thom Yorke of Radiohead, Jarvis Cocker of Pulp and Bernard Butler for the soundtrack to the trashy, chic, Glam rock film Velvet Goldmine. In 1995 Andy married Lucinda and they live with their baby son and older children in the Quantock Hills, in Somerset by the woods and streams familiar to one of his heroes, Coleridge.